For this exhibition, ArtRage sought out local elder women activists; all are 80 years or older. Still the One addresses urgent questions: what exactly is “activism” and where do we find it? What and who have we lost sight of? What endures? What will get us safely home again? We are seeking the wisdom of these elders in a troubled and urgent moment, going back to the source or back to the well; seeking to recognize those who persisted and endured and made a difference. 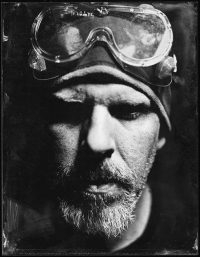 A photographer for 25 years, Douglas Lloyd has focused on wet plate processing since 2014. Wet plate collodion photography was invented in 1851 and widely revived in recent years for the detail and loveliness of its images. Still the One finds a perfect fit between method and subject; one which values age and history.